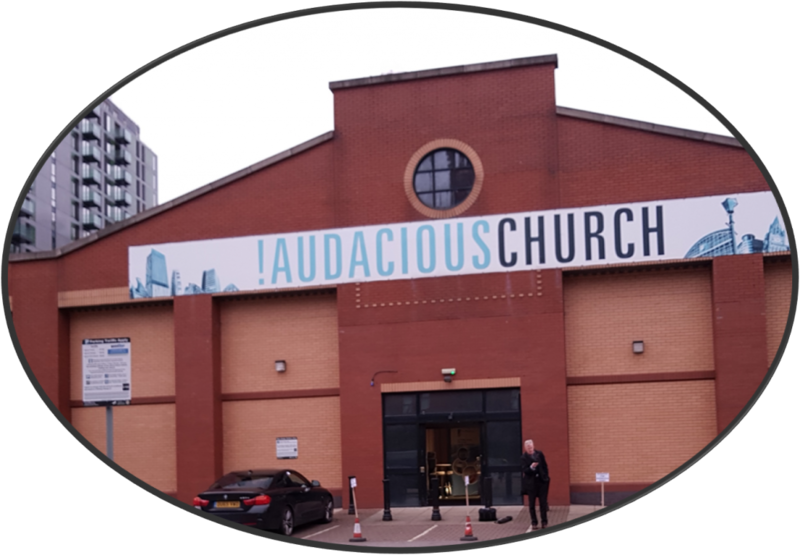 Last Tuesday, 12 March 2019 saw over 450 delegates battle their way through the heavy rain of Manchester to attend the inaugural Robotics and Artificial Intelligence Showcase (RAI19) at the !Audacious Church in Salford. The venue was as modern as the technology on show, resembling more of a out of town shopping centre than a place of spiritual reflection. Appearances can be deceptive and befitting the conference theme the venue was high tech and wirelessly networked throughout. A silent conference system enabled the “congregation” of delegates to benefit from a packed agenda of keynote presenters across the robotics and artificial intelligence industry. As a result, the audience were able to concentrate on the presentations without being distracted by external noise from the nearby stands of the 37 exhibitors. Delegates and exhibitors were drawn from a range of commercial, public and academic organisations. Like most exhibitors, Cambium’s stand in partnership with the Hartree Centre, enjoyed a high level of interest from across a wide range of sectors, including aerospace, agriculture, pharmaceuticals, healthcare, manufacturing, services and others. Delegates were there to assess how the adoption of robotics and / or artificial intelligence could improve the productivity of their organisation. Delegates were approaching the application of these technologies to their business challenges from a range of starting points. For example, some delegates had a background in robotics and were looking to extend that capability by the addition of further intelligence through the use AI or machine learning. Others were interested in how they might extend the impact of their software or algorithms by creating linkages to new robotic equipment. Irrespective of this starting point it was equally clear that most organisations anticipate great potential from the convergence between robotics and artificial intelligence. It was widely recognised that these technologies have the potential to deliver significant competitive advantage and will catalyse changes in industry structure and supply chains. This recognition is being accelerated and encouraged by policy support from UKRI, Innovate UK supported by the KTN, who organised the RAI 19 conference. Opening the conference Dr. Zoe Webster, the Director of AI and Data Economy at Innovate UK, cited the importance of Robotics and AI to the UK’s Industrial strategy. AI and data form one of the four grand challenges that the UK is seeking to harness in this drive to improve UK productivity. The aim is to drive a more innovative economy by commercialising the UK’s world leading science to drive economic growth. The policy is being enabled by industry led and powered by multidisciplinary research and business – academic collaboration. The goal is to develop industries that are fit for the future in areas where the UK can be world leaders in research and commercialisation. 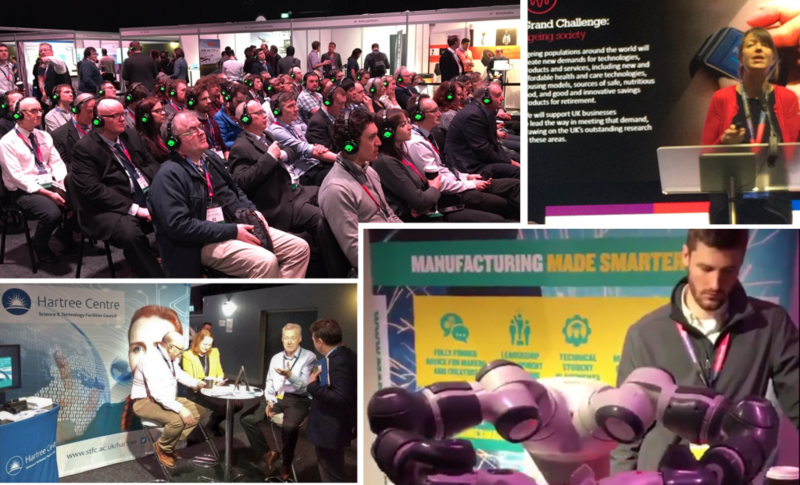 The large attendance and interest at RAI 19 provides evidence that these policy incentives are beginning to work and that despite continuing political uncertainty there is a growing interest amongst UK companies to capture improved productivity. The feedback from #RAI19 indicates that many companies are still exploring and learning about the value that these technologies can deliver. However, it is also clear that many early adopters of the technologies are already beginning to see productivity benefits and early business value. 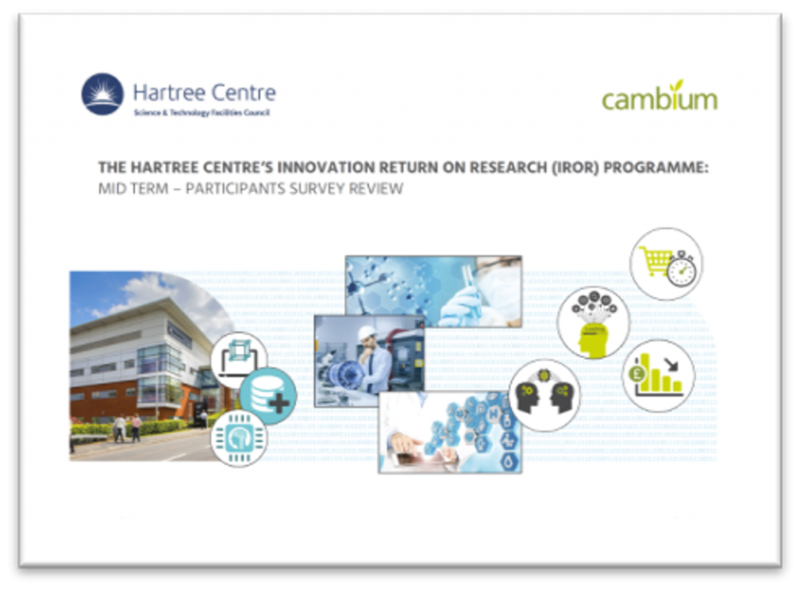 For instance, a recent report on a major programme of collaborative innovation (IROR) using AI and related technologies conducted by the Hartree Centre in partnership with industry. The review confirms that businesses working to incorporate emerging data-intensive and AI technologies expect to see a range of results from faster time to market for their products and a boost in productivity in their research processes. If, like many of the attendees at #RAI19, you are also interested in understanding how your organisation can use these technologies to improve your productivity, we are able to bring you some good news. There is another opportunity, also located in the North West of England, on 30th April, 2019 for business leaders interested in l how technologies, such as AI and machine learning, are delivering value to businesses to attend the Intelligent Innovation event at the Hartree Centre. Sadly, we cannot promise better weather than that experienced #RAI19 in Manchester, but we can predict that you will be able to learn how these technologies are enabling new business value. You can also discover how your organisation can participate in programmes designed to help your organisation take advantage of the potential that they offer.